We specialize in production and development of external non-sterile semi-solid dosage forms (ointments, creams, gels). •Products for joint and muscular pain for coetaneous use. •Non-steroid anti-inflammatory and antirheumatic products. •Antifungal products for topical use. TFC is in intensive cooperation with Latvian company JSC Grindeks (www.grindeks.lv), who produces pharmaceuticals and represents TFC as the sales representative. 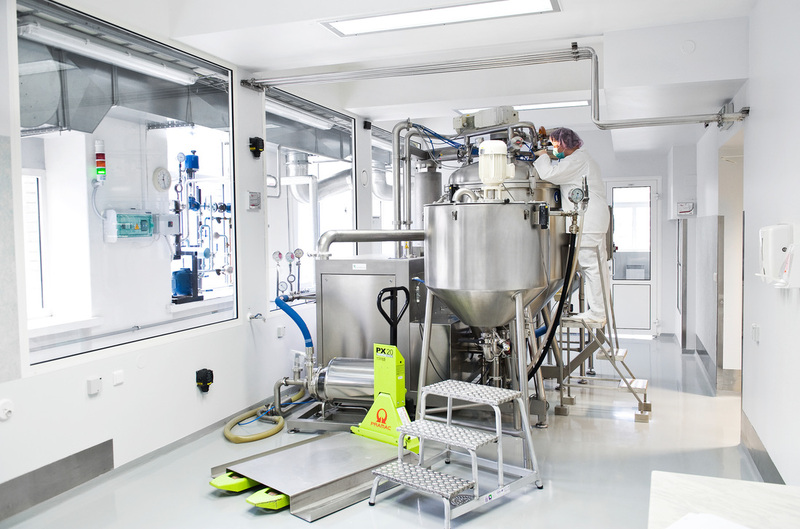 As a full-scale pharma company Tallinna Farmaatsiatehase AS has long term experience in working with external non-sterile semi-solid dosage forms (ointments, creams, gels). We are pleased to offer our knowledge, experience and ISO and GMP certified manufacturing facilities to deliver Contract Manufacturing service. Without any additional equipment investment, we are ready to assist you in producing, analyzing and, finally, shipping your semi-solid products to you in aluminum tubes in sizes of 15, 30, 50, 75 or 100 grams in carton boxes, carefully packed and labelled into bulk package. Our skilled personell has experience in both human and veterinary ointment, cream and gel manufacturing. As from year 2009 was added to production license permission of wholesale right of medicinal products for human and veterinarian use. We want to be a competitive manufacturer of pharmaceutical products on a range of markets with a high level of organisational culture. We want to be a player in the global pharmaceuticals market using state of the art technology . We are a constantly developing manufacturer of quality pharmaceuticals and use state of the art technology. With our daily operations we take care of people’s health and the welfare of society, being an experienced and reliable partner.